As autumn ends, darkness approaches much quicker and the evenings are becoming chillier. As we walk the around town, the unforgiving wind causes us to pull our scarves more snugly around our exposed necks. This is the time when we all enter our own kind of human hibernation. A crackling fire, fluffy socks and steaming coffee cups trump a night of bar-hopping. In fact, any activity once the sun goes down has to be exclusively warm and snug. Here are a few fiery drinks you can make to stave off the winter chill. 750 ml of a red wine of your choice. A dry red wine must be used. 150 ml orange juice (can be freshly squeezed or not). Pour into glass tumblers or mugs. 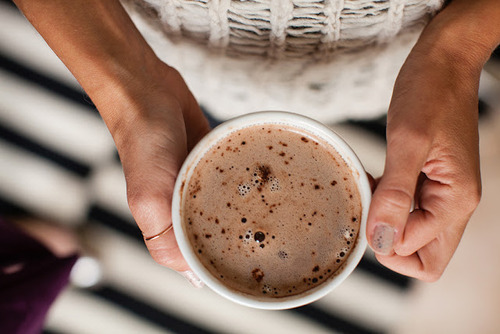 In a large plastic cup or mug, mix the hot chocolate mix, chocolate syrup, chilli powder and cinnamon. Once mixed well, add the milk. You can also add whipped cream or mini-marshmallows as a topping. While you may not be able to sleep in until summer, at least these delicious drinks will give you the boost you’re looking for to get you through the winter.